Since it is almost time for Thanksgiving and all that holiday entertaining I would like to remind you that if you are entertaining you need a new tablecloth. Yes, that’s right. Treat yourself to a new custom tablecloth for the holiday. It will make setting the table just that much more fun. OK, I know I own the tablecloth making factory but that doesn’t change the fact that a well dressed table makes the dinner that much more special. 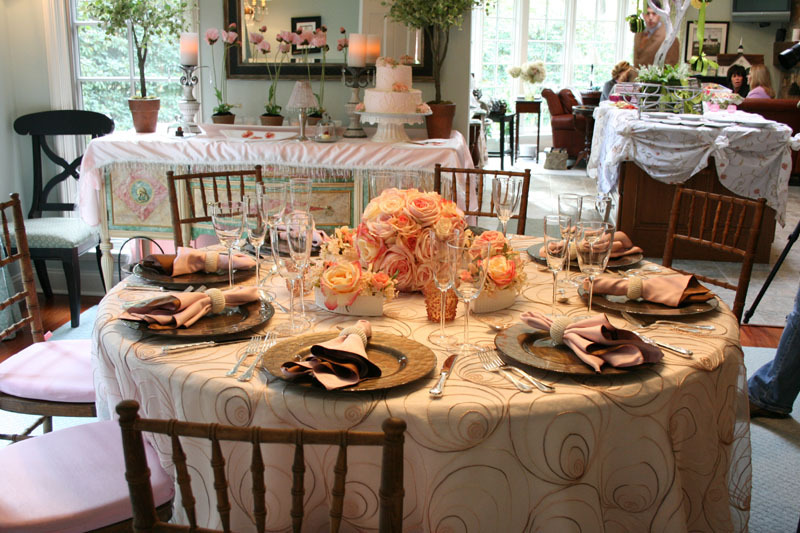 So check out http://www.bestdressedtables.com and set your table with imagination. Let our tablecloths inspire you!!! It will actually make your food taste better, really I am not kidding. Your guests will be so razzle dazzled by the abiance of your tablecloth and setting that your food will not only appear but also taste fabulous. Also serving alcohol will enhance this sensation so serve plenty of wine. Sorry I couldn’t resist the plug! !